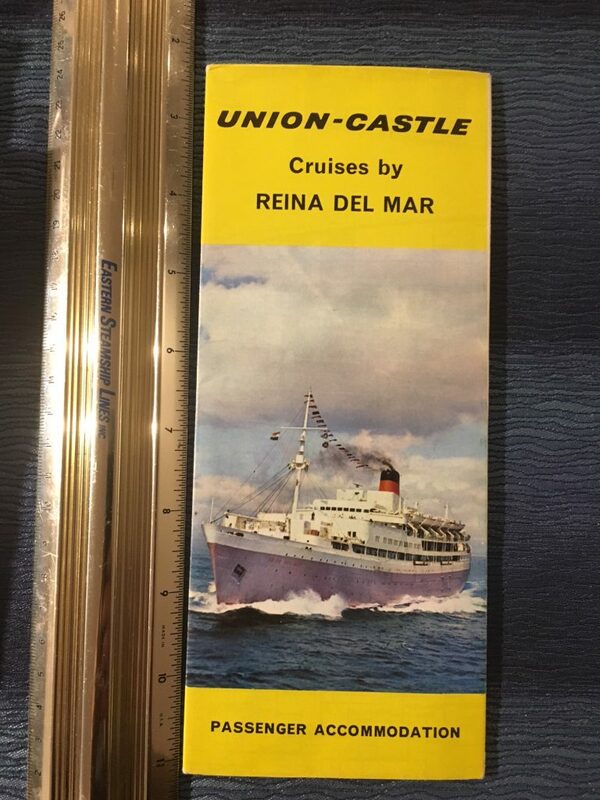 Excellent DP for the Reina Del Mar after her purchase for Pacific Steam. Fully color plans and phots of her great Interiors. Excellent condition and printed on super glossy paper.